To kick off the first article of Threat Of The Week (TOTW) we shall examine the first guided surface to air missile ever deployed, the S-75 (Divna) or more commonly known as the SA-2 (Guidline). During the early years of the cold war (1950+) the USAF rapidly accelerated the development of high altitude long range strike bombers with the capability of deploying nuclear weapons. In response to this the former soviet union started development of improved air defense systems. The soviet union already had a large amount of AAA weaponry, however these weapons could not engage targets flying at high altitudes, exactly where the USAF bombers flew. In 1953 the soviet union started development of the S-75. The program focussed on producing a missile which could bring down a large non-maneuvering, high altitude target. As such the missile did not have to be highly maneuverable, merely fast and able to resist countermeasures. Initial deployment started in 1957 with various upgrades in the following years. The first victory scored by the SA-2 / S-75 was the shooting down of a RB-57 Canberra operated by the Taiwanese air force over china. Perhaps the most famous event that the SA-2 / S-75 participated in was the destruction of Gary Powers U2 in 1960. The V-750 is a two-stage missile consisting of a solid-fuel booster and a storable liquid-fuel upper stage, which burns red fuming nitric acid as the oxidizer and kerosene as the fuel. The booster fires for about 4–5 seconds and the main engine for about 22 seconds, by which time the missile is traveling at about Mach 3. The missiles are guided using radio control signals from the Fan Song Tracking Radar. The system will vector the missile on lead intercept pathway i.e. it will turn into your flight path much like a bandit in an intercept course. The system has a range of 45Km (28 miles) with a maximum altitude of around 90,000’. In the event of the SA-2 /S-75 obtaining a lock and launching a V-750 at you, your first course of action should be to attempt to visually locate the missile. This is done very easily as the SA-2 / S-75 leaves a huge billowing smoke plume as it accelerates towards you. Once you have located the missile place it on your 3/9 line (the beam) of your aircraft. Your next action will be highly based on what situation you find yourself in. If the missile has launched from long range then you can either drag the missile in the opposite direction and defeat it kinetically (the missile runs out of airspeed). Or you can perform a break turn into the path of the missile in an effort to overload the missiles tracking system (note this works FAR better at close range).You can defeat the missile by driving it into the ground by adopting a nose low attitude which cause the missile to vector downwards into the ground. Now we will cover a much more difficult scenario. In the event that a missile is fired at you and you either cannot locate the missile visually or bad weather prevents this you have 2 options. The first option is – much like the visual method – to drag the missile and defeat it kinetically. Secondly you can perform another slice/break into the missile path (hopefully the RWR will be illuminated giving you a rough direction of the Fan Song and thusly the location of the missile). Again You can defeat the missile by driving it into the ground by adopting a nose low attitude which cause the missile to vector downwards into the ground. Of course the best way to avoid being launched on is to stay outside of the threat ring itself. 1X “Spoon Rest” Search RADAR to provide early warning of incoming threats. 1X “Fan Song” Tracking RADAR to lock and guide the V-750 missiles into the target aircraft. 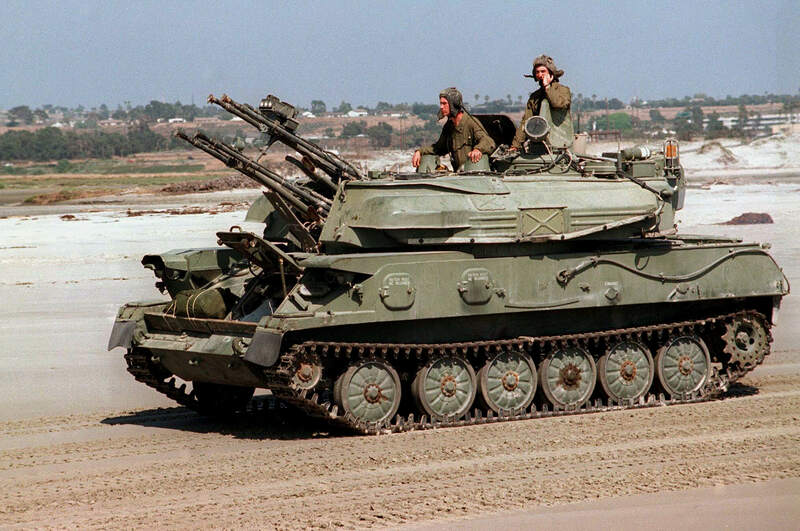 (multiple)X KS-19 / ZSU-23-4 AAA guns for close protection of the site. 1X Fan Song to disable missile guidance capacity of the site. 6-10X V-750 launchers in order to eliminate the missiles themselves. The SA-2 / S-75 is the oldest generation of SAM that the DPRK use in the KTO in BMS. They are the first layer of ground based air defense that North Korea have on the border between North and South Korea. In BMS the SA-2 / S-75 sites have overlapping engagement zones and blanket the FEBA. This makes the initial first day or two of the campaign difficult as you the pilot may have to over fly several SA-2 sites on the ingress to your target. Despite its age the SA-2 is deadly against slow flying aircraft or the unaware pilot so take heed of your flight plan and act accordance to the threats on the ingress and egress. Misc Notes and a Thank You. Thank you for reading this article, I hope you found this useful and informative. Please don’t hesitate to contact me via the Falcon Lounge (username Figmo42) discord or on the forums (same username). Finally I would like to wish you many years of good hunting.